I’ve deliberately wanted to stay out of the Corbyn mania. But I read this article and now I feel I have to speak out. It’s very long, but it’s absolutely brilliant, and I believe after reading it any argument for supporting Corbyn is inadmissible. All week long I’ve been hearing complaints about the ‘smears’ on Corbyn. As the article shows, a lot of said ‘smears’ are, in essence, true. Jeremy Corbyn has shared the stage with and given money to Holocaust deniers. Jeremy Corbyn has described ‘Hamas’ and ‘Hezbollah’ as his friends. Hamas is a group committed to the racial destruction of the Jews. Calling them your friends is different to supporting a Palestinian state. For anyone who is Jewish, Corbyn’s election was a frightening moment. 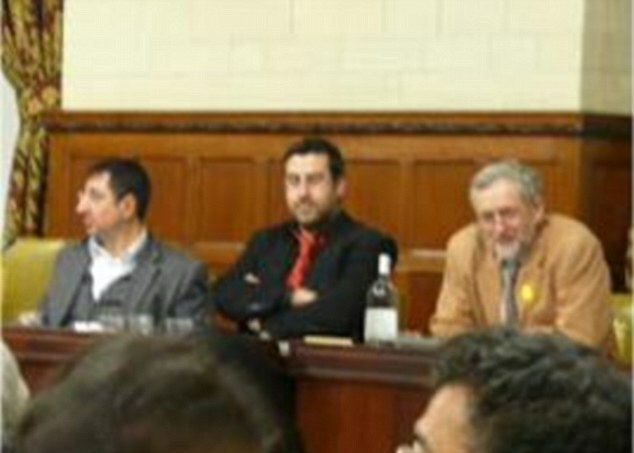 Jeremy Corbyn has shared the stage and worked together with Dyab Abou Jahjah, a hate preacher calling gay men “AIDS-spreading fagots” (sic). Do my LGBTQ friends realize this? These are surely not Corbyn’s personal beliefs. But the fact that he has associated with such people shows, as the article says, clear bad judgment. And such bad judgment as this makes him utterly unsuitable to be leader of the Labour party. Do you honestly think anyone is going to trust this man to deal with a terrorist threat? My advice to Labour is to get a new, fresher leader, without all this baggage, to bring home the same powerful anti-austerity message. And for those talking about building a new mass movement: Due to these associations, while Corbyn is Labour leader, I will never vote Labour. And I rather suspect that there are more – millions more – people like me than you think. We are waiting patiently until this blows itself out. Corbyn hanging out with his homies. Recently I was given the opportunity to realize a long-cherished dream, and begin writing an advice column. The first results are below. Send your questions to askjimadvice@gmail.com. And thanks a billion to Rob Shaw and all those at booksaredangerous.org for the opportunity.